The Tatra Mountains are the highest mountain range in the Carpathian Mountains separating Poland from its southern neighbour, Slovakia. 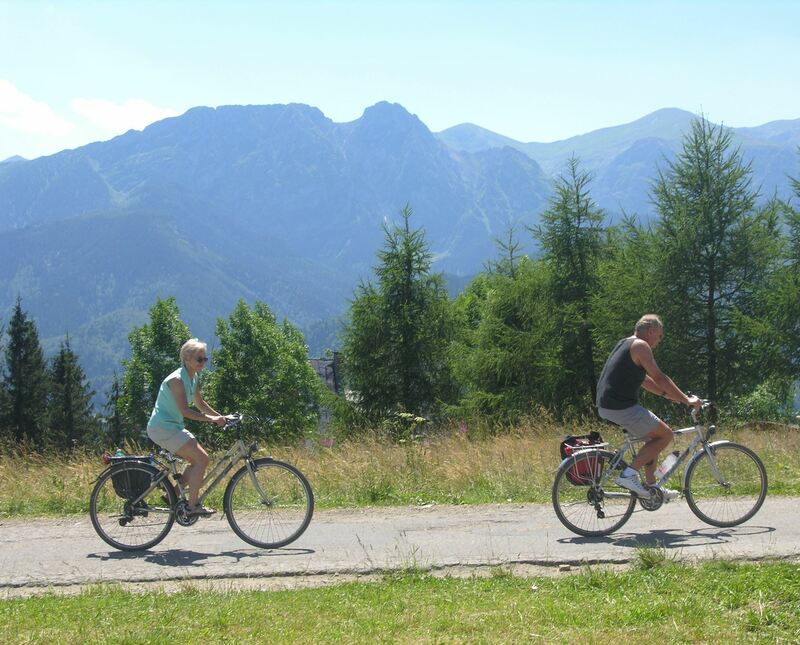 The Podhale - "Mountain meadows" is Poland's most southern region and is located in the foothills of the Tatra Mountains. 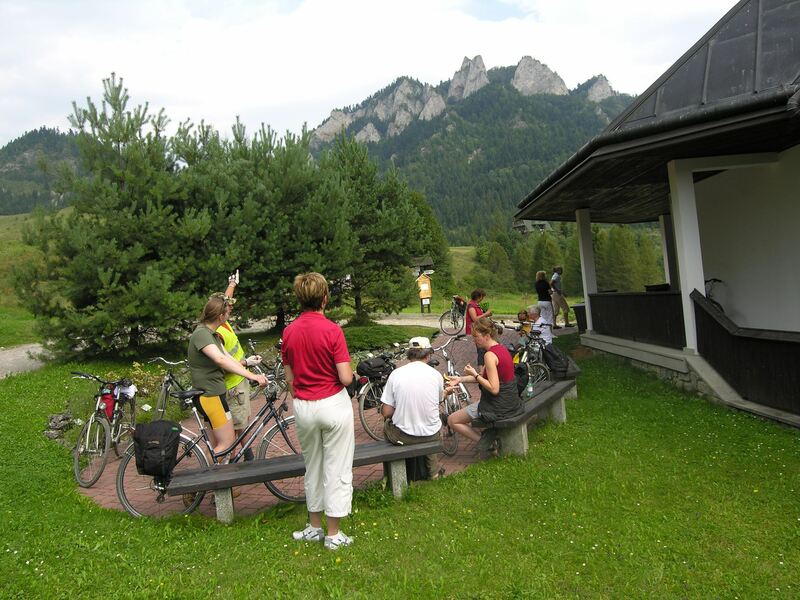 Our cycling adventure begins in the shadow of these mountains at Zab. 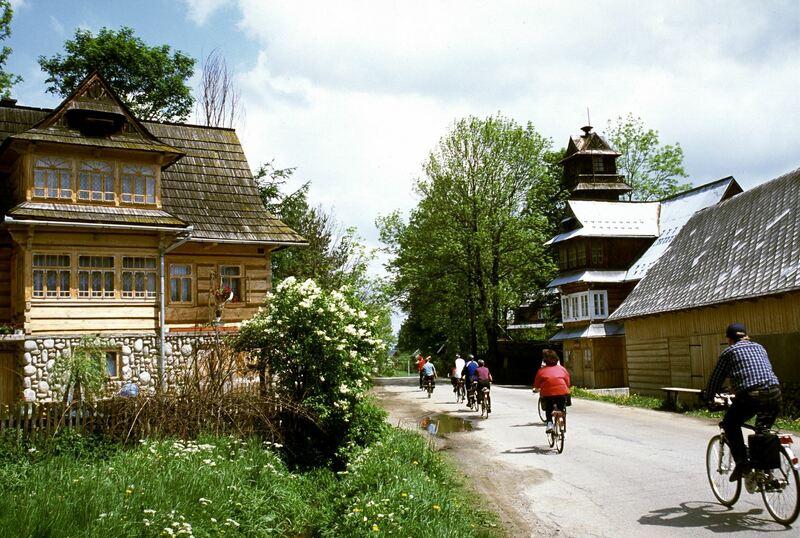 We will discover sleepy, picturesque medieval towns and villages where the age old rythms of life still continue. 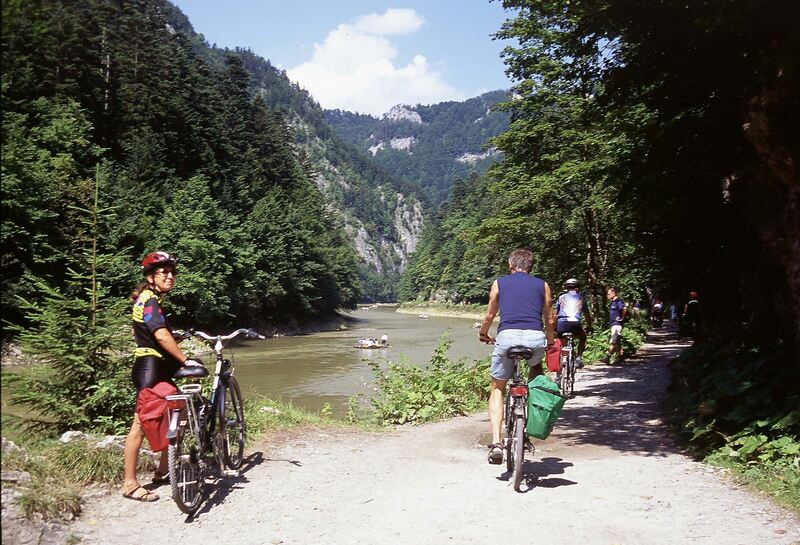 The majority of this tour follows the Dunajec mountain river with the famous Dunajec Gorge running through the Pieniny Hills. 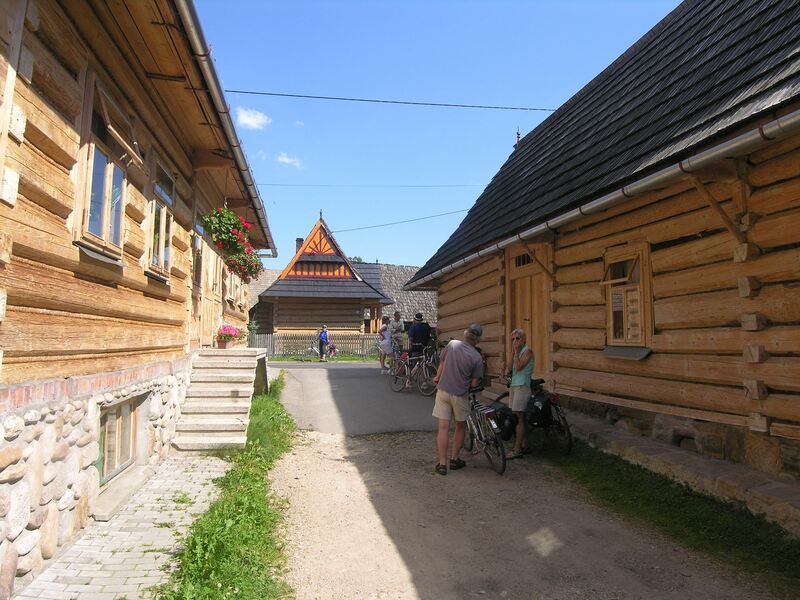 Tatra MountainYou cycle through unspoilt and sparsely populated countryside where farm animals and horsedrawn carts are still a common sight and the local people are hospitable and friendly. 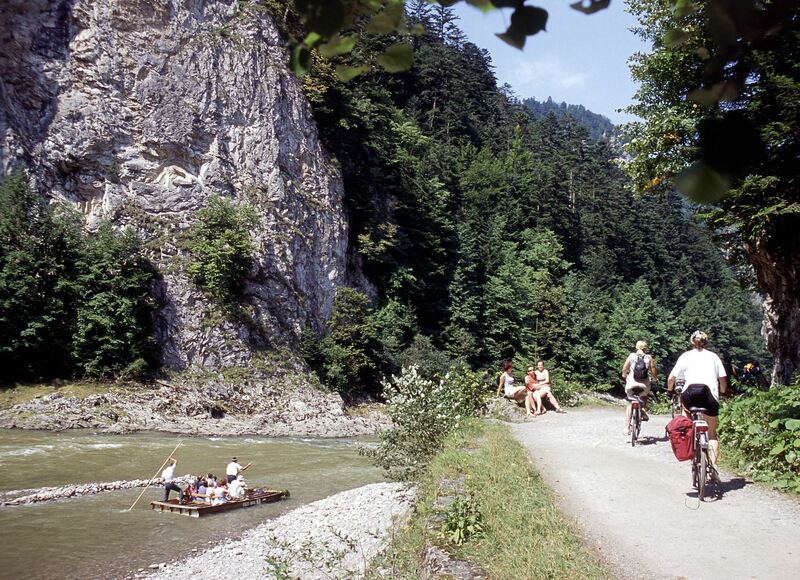 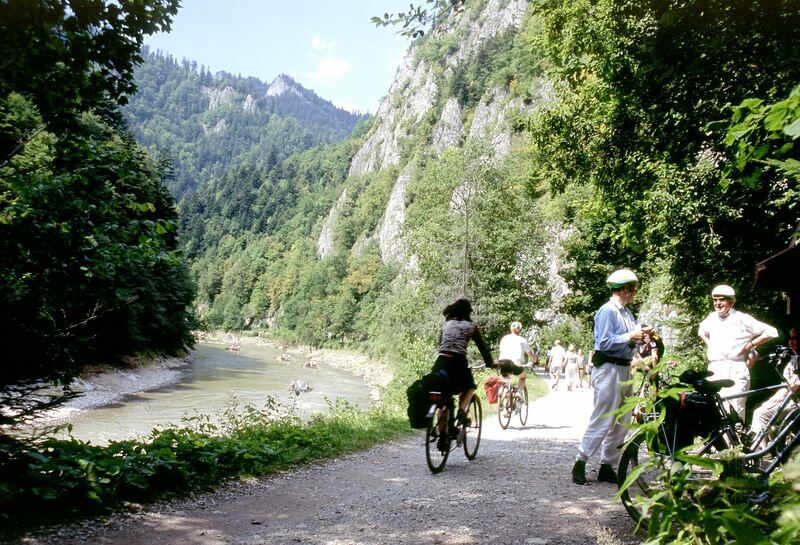 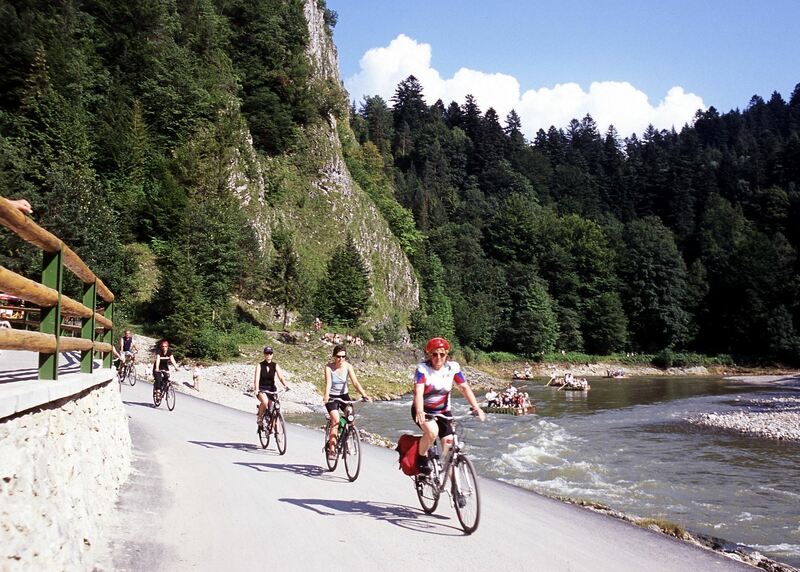 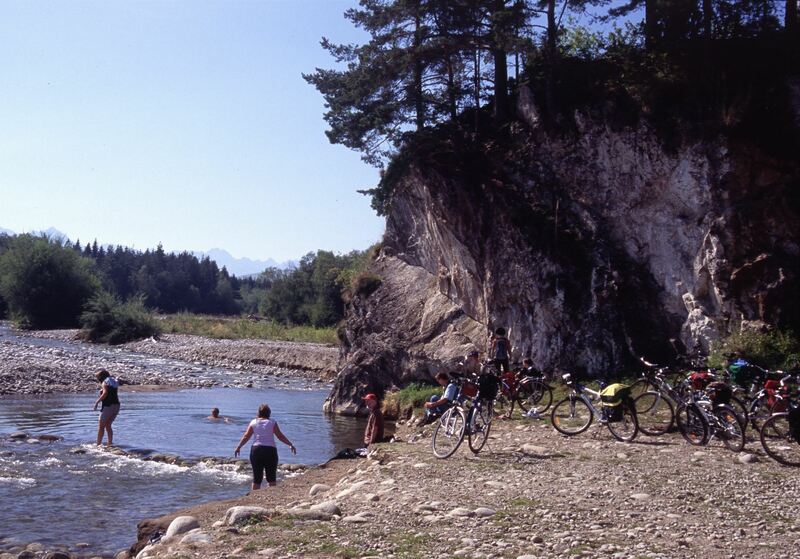 Although your tour leads into the mountains, the cycling is moderate as we parallel the river Dunajec following beautiful cycle paths with wonderfull views of the surrounding mountains. 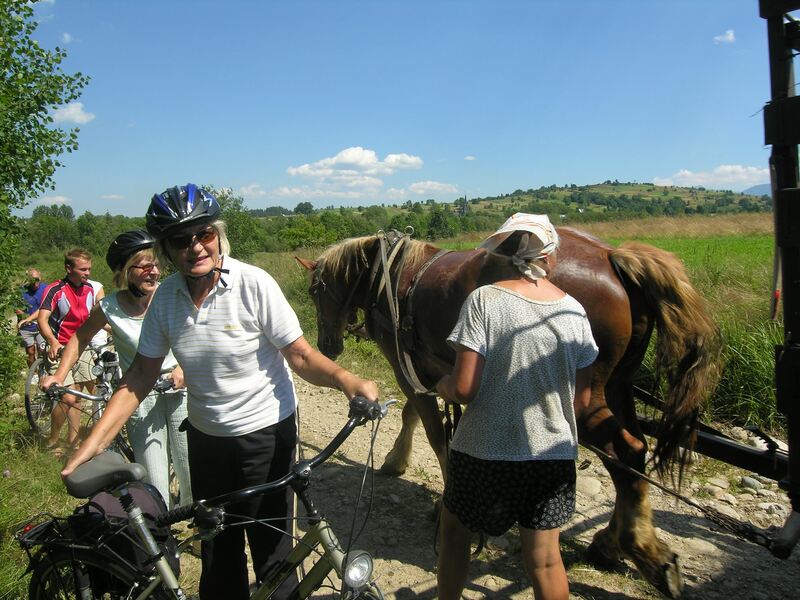 One of the highlights of this tour is Krakow, Polands third largest and oldest city where you will have the opportunity to cycle around this city and explore its many delights. 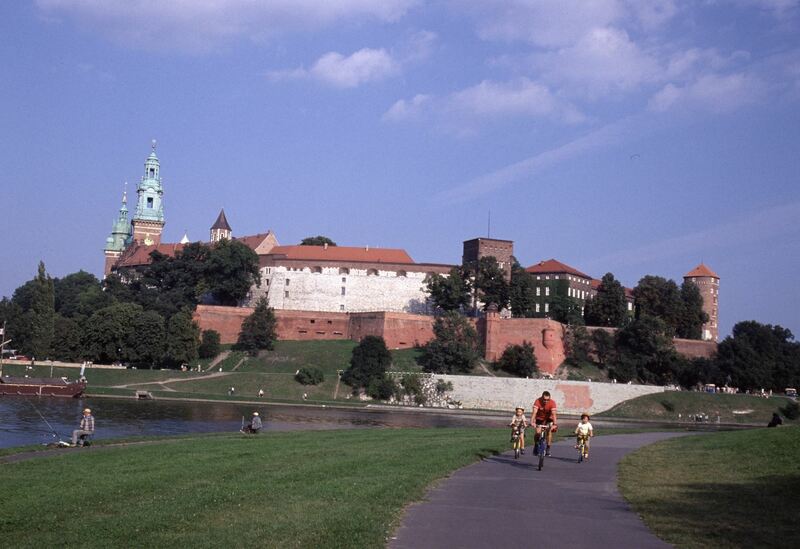 (advice only, not included) By air to Krakow Airport Easyjet, Ryanair.